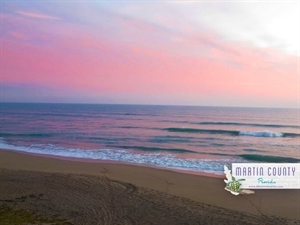 Martin County, FL enjoys an international reputation for its natural beauty and environmental stewardship. Here you will find miles of white sand beaches, breathtaking outdoor venues, world-class fishing, water sports, and eco-adventure. Discover a hidden gem, the communities of Port Salerno, Palm City, Jensen Beach, Indiantown, Jupiter Island, Hobe Sound, Hutchinson Island and Stuart, voted one of the Most Beautiful Small Towns in America. Martin County enjoys an international reputation for natural beauty and environmental stewardship. Miles of white sand beaches, breathtaking outdoor venues, world-class fishing, water sports, and eco-adventure. 93,000 acres of parks and conservation land with the most bio-diverse lagoon ecosystem in the Northern hemisphere, the St. Lucie Inlet make this an eco-lovers paradise. Building restrictions allow for breathtaking views, experience authentic experience with an Old Florida feel. With year-long sunshine, gorgeous beaches and a plethora of community events, it comes as no surprise that Martin County was named the best place in the U.S. to retire. Real estate website Find The Home compiled the ranking, which scored counties on five factors: care, entertainment, convenience/transportation, community and housing. Martin County scored highest in the convenience category, which takes into consideration the number of grocery stores and restaurants within walking distance. The area was also named the nation’s #3 “Best Small Town to Visit in 2015” by Smithsonian Magazine, and landed the #9 spot on the House Beautiful “50 Most Beautiful Small Towns in America” list. The natural beauty and attractions here offer up a treasure trove of activities—minus the crowds of its popular next-door neighbors. From rodeos to high-end shopping, art galleries and one-of-a-kind museums to eco-friendly sea- turtle adventures. The area is known as the Sailfish Capital of the World. There are more than 800 species of fish within a 10-mile radius of the St. Lucie Inlet—which is the most bio-diverse estuary in North America. Here you can watch the sunrise over the Atlantic Ocean and watch the sunset over Lake Okeechobee, the second-largest freshwater lake entirely within U.S. boundaries. 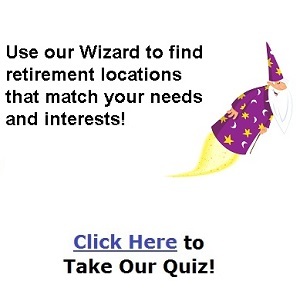 Includes Cities/Towns: Hobe Sound, Indiantown, Jensen Beach. Browse Martin County’s more than 20 galleries in the historic downtowns of Stuart, Jensen Beach, Port Salerno and Hobe Sound and find local jewels and gifts for a souvenir worthy of the visit. Hunt for treasure at Treasure Coast Square, where more than 120 shops mean there’s something in the bag for everyone. For a one-of-a-kind experience, head to B&A Flea Market, the Treasure Coast’s oldest and largest flea market with a 35-year history and over 400 vendors. Nearby, the Elliott Museum, named after prolific inventor Sterling Elliott, hosts a dynamic and interactive collection of antique automobiles, vintage boats, an extensive baseball collection and a deep trove of Treasure Coast histories and stories. For an interactive experience involving all ages, head to The Children’s Museum of the Treasure Coast, located in the heart of Indian RiverSide Park in Jensen Beach. Add in a visit to The Stuart Heritage Museum, located in the oldest commercial building in Stuart and Martin County, and step back in time to learn about the unusual, the sometimes overlooked people, events and places from Martin County’s history. History buffs meet their match in Martin County. The House of Refuge at Gilbert’s Bar is the only remaining House of Refuge on the East Coast of the United States. Built as one of 10 along the east coast of Florida, it is the oldest structure in Martin County and is listed on the National Register of Historic Places. Want to delve deeper? Learn about the Georges Valentine Shipwreck at the House of Refuge at Gilbert’s Bar and then suit up to explore the dive site off the coast of Hutchinson Island. For the music lover, the historic Lyric Theatre offers a wide-array of first class talent nearly 300 days a year. This acoustically amazing theatre features concerts from classical to rock and roll, and theatrical performances by local and national talent. Looking for more? Martin County’s The Barn is a 169-seat community theatre presenting five main stage productions September through June, and a Showcase Series of one-act plays held between main stage productions. Book a Friday or Saturday show and stay the weekend to savor all Martin County has to offer. Martin County is located within two hours or less driving time of four international airports: Palm Beach, Ft. Lauderdale, Miami and Orlando. Martin County's Transit Service provides fixed route service to the US 1 Corridor, Indiantown, and Stuart, in addition to a commuter route, which runs from the Robert Morgade Library to the Palm Beach Gardens Mall. All buses are equipped with wheelchair lifts and bike racks. Martin Health System is a not for profit community based healthcare system that has cared for Treasure Coast residents since 1939. Martin Health provides a continuum of health care that includes preventive, primary and acute hospital care, as well as cancer and cardiac care, wellness and rehabilitation services. The system operates three hospitals, the Robert and Carol Weissman Cancer Center and Frances Langford Heart Center. It offers 24 hour emergency services, neurology care, maternity services, family care, pediatricians, bariatric surgery and transportation services. Martin Health System's staff includes more than 400 physicians, 4,000 employees and 1,000 volunteers. Jan 54.1 F° 64.2 F° 74.3 F° 2.9 "
Feb 54.8 F° 64.8 F° 74.9 F° 3.1 "
Mar 59.0 F° 68.5 F° 78.0 F° 4.0 "
Apr 63.3 F° 72.2 F° 81.2 F° 2.9 "
May 68.3 F° 76.8 F° 85.3 F° 5.1 "
Jun 72.3 F° 80.4 F° 88.5 F° 6.8 "
Jul 73.5 F° 81.7 F° 89.9 F° 6.2 "
Aug 74.2 F° 82.0 F° 89.9 F° 6.4 "
Sep 73.6 F° 81.2 F° 88.8 F° 8.0 "
Oct 69.1 F° 77.0 F° 84.9 F° 6.0 "
Nov 63.0 F° 71.5 F° 79.9 F° 4.0 "
Dec 57.1 F° 66.3 F° 75.5 F° 2.7 "
On average, there are 234 sunny days per year in Martin County, Florida. The July high is around 90 degrees. The January low is 55. Condos Over 50 Communities Comprised of the communities of Port Salerno, Stuart, Palm City, Jensen Beach, Indiantown, Jupiter Island, Hobe Sound and Hutchinson Island, Martin County is a respite for northern families looking to escape the cold winters and southern families leaving behind the overcrowded South Florida area. Martin County is comprised of several cities and municipalities of which we have listed characteristics of each. Whether you’re looking for waterfront, golf course, equestrian, agricultural, family communities or downtown living, Martin County has all of your relocation needs. Home care Senior center Visiting nurses There are a variety of service providers, both in the not-for-profit sector and the for profit sector such as Adult Day Care, Elder Care, Organizations and Non-Profits, Retirement Communities/Nursing Homes/Assisted living, including the Council on Aging, which provides 24 different support services enabling seniors to remain independent and assisting family caregivers. The Council on Aging provides therapeutic, social and health services to impaired seniors who are 60 or older. The Council directed Community Coach provides transportation to all citizens and includes wheelchair-lift vehicles for the disabled and door-to-door assistance, all for just $1.00 per ride. All Medicaid transportation is scheduled through Community Coach. Warm noontime meals are served at 8 different locations in Martin County by the Council on Aging, providing not only a well-balanced meal, but the opportunity for socializing and meeting new friends. The Log Cabin Senior Center also provides classes, activities and special events for active seniors. United Way of Martin County’s Martin Volunteers program assists residents in finding volunteer opportunities that meet their needs. People interested in volunteering are asked to register with Martin Volunteers and identify their skills and interests. Martin Volunteers then searches for meaningful and rewarding volunteer opportunities at Martin County-based nonprofit organizations and public agencies. By doing all the leg work, Martin Volunteers gives its registered volunteers an opportunity to maximize their contribution to the community. This process also allows volunteers to discover volunteer opportunities with lesser known nonprofit organizations.